Your home’s performance and efficiency come down to its systems, including the plumbing, heating and air conditioning, and fire protection. When one of these does poorly, your home’s at risk for flooding, attracting mold and mildew, accumulating pollutants and allergens, or extensive fire damage. Plumbing: Complete service, installation, and repair for toilets, faucets, sinks, tubs, toilets, whirlpools, drains, garbage disposals, dishwashers, water heaters, and water treatment systems. Heating & Air Conditioning: Full service, repair, installation, and design of heating and air conditioning systems. Our team fixes existing equipment, including boilers, furnaces, radiant heat systems, heat pumps, split systems, ductless systems, exhaust fans, humidifies, and dehumidifiers. Fire Protection: Full service, installation, and repair of 13D and 13R residential sprinkler systems. Have us test and maintain existing systems, or design a new one. Interested in an appointment? 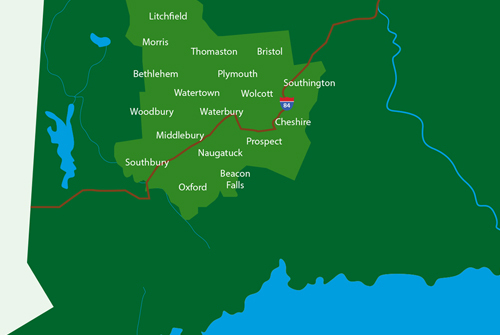 Contact our Connecticut location to speak with our team.